If you think that you've been seeing some funny-looking airliners in the past couple of months, you're not imagining things. 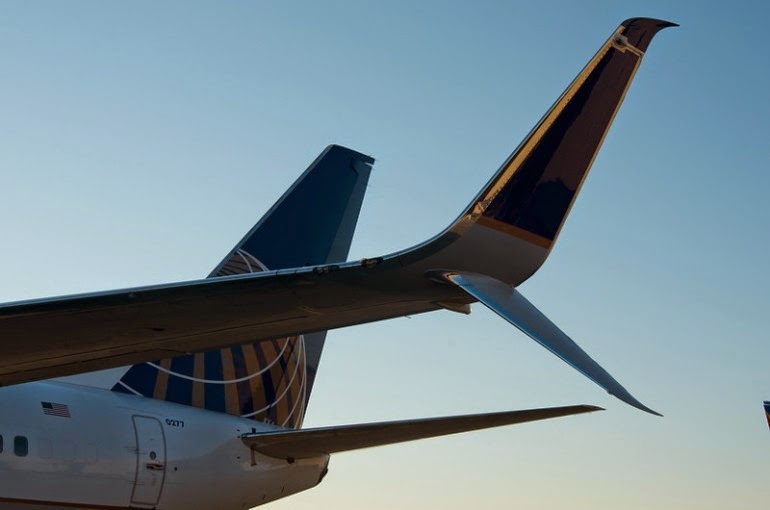 On February 18th, a United Airlines Boeing 737-800 made the world's first commercial flight by an aircraft equipped with fuel-saving Split Scimitar Winglets. Regular blended winglets are now quite common on commercial aircraft, as they improve aerodynamics and thus reduce fuel consumption. 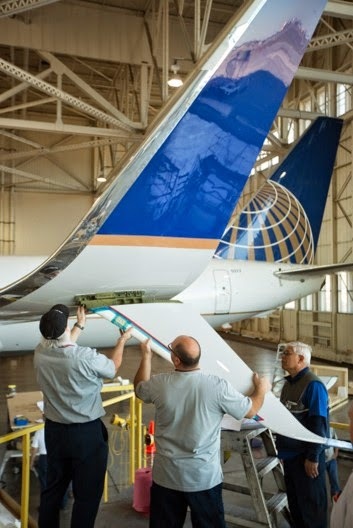 Made by Aviation Partners Boeing, the Split Scimitar Winglets reportedly do an even better job – when retrofitted onto United's existing Next Generation 737 Blended Winglets, they should reduce fuel consumption by two percent per aircraft. The airline plans to add the new winglets to its entire fleet of 737, 757 and 767 airliners. By doing so, it estimates that it will save "more than 65 million gallons [246,051,780 liters] of fuel a year, equivalent to more than 645,000 metric tons [710,991 tons] of carbon dioxide and $200 million per year in jet fuel costs." Retrofitting Split Scimitars into existing blended winglets involves adding strengthening spars, aerodynamic "scimitar tips," and a large ventral strake (the bit that points down). Yesterday, Southwest Airlines announced that it had also started using the Split Scimitar Winglets on one of its 737-800s. The company plans on retrofitting 52 existing planes, and having the winglets pre-installed on 33 new aircraft. Numerous other airlines have placed orders for the winglets, so expect to start seeing them on a runway near you soon.